Auckland, 29 November 2014 - ​At a time when CBRE New Zealand is looking ahead to the soon-to-be-announced world-wide International Property Awards, two recent South Auckland sales have demonstrated the strength of agency collaboration and CBRE is now marketing an industrial property for sale at 12-16 Lovegrove Crescent, Otara. Collaboration was at the heart of CBRE New Zealand’s selection as a finalist in the International Property Awards. 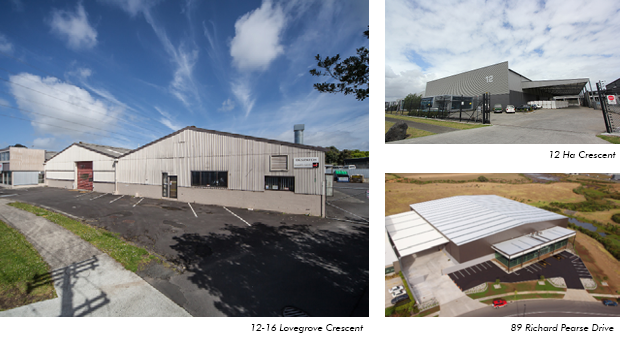 It was also central to two recent South Auckland industrial sales - at 12 Ha Crescent and 89 Richard Pearse Drive for Euroclass - and underpins the marketing of 12-16 Lovegrove Crescent. Recognised in May this year as the Best Property Consultancy in Asia Pacific at the prestigious Asia Pacific Property Awards 2014-2015, CBRE New Zealand is now competing against other regional winners from Africa, Arabia, Europe, UK and the Americas to find the ultimate World’s Best Property Consultancy. The winner will be revealed at an awards ceremony in Dubai on 4 December 2014. CBRE was initially named Best Consultancy in New Zealand before being selected as the winner at the Asia Pacific International Property Awards, which were announced on 9 May 2014 in Kuala Lumpur, Malaysia. This qualifies CBRE New Zealand for entry into the worldwide awards. CBRE Senior Managing Director New Zealand, Brent McGregor, said: “Winning both the Best Property Consultancy for New Zealand and the Best Property Consultancy for Asia Pacific is an outstanding achievement. CBRE has worked collaboratively over recent months to sell two A-grade South Auckland industrial properties on behalf of Euroclass Design & Build. Sold by CBRE agents Paul Steele, Mark Bramwell and Mike Beresford and involving close links by two CBRE offices - South Auckland and Christchurch - 12 Ha Crescent in Wiri was bought in late August by Christchurch-based Irvine Flooring. Now occupying the facility as owner, Irvine Flooring bases its North Island distribution from the 6,500sqm site. Built by Euroclass, the property includes a 3,888sqm clear span warehouse with 10 metre stud height and a 1,043sqm drive-through canopy, plus 278sqm of offices and a secure 2,334sqm concrete yard. This sale has been followed by the sale of 89 Richard Pearse Drive in Mangere by Euroclass, a transaction that went unconditional two weeks ago. Sold by Lindsay Jackson of CBRE’s Auckland CBD office and by Claus Brewer and Tim Boyle of South Auckland on behalf of Euroclass, the property has been ppurchased by an investor. Occupying a flat 9,144sqm site that creates space for a large yard for all-weather loading and unloading, the property has a 5,110sqm clear span warehouse with 10 metre stud, plus a 1,064sqm canopy, complemented by three roller doors providing access to the warehouse, and 800sqm of offices over two levels. Located on Richard Pearse Drive overlooking a reserve, the property has quality neighbours and is close to the local amenity of Airport Oaks. Tim Boyle says: “The investor sought A-Grade property, preferably in the popular Airport Precinct, which is home to many of Australasia’s largest logistics and customs companies. It is only a short distance from the airport, with excellent access to SH1 and 20, linking the CBD to the southern corridor. Following these transactions, and a number of successful CBRE campaigns on Lovegrove Crescent in Otara, sole agents Tim Boyle and Nikolai Vulinovich of CBRE are marketing another industrial property for sale on the street at 12-16 Lovegrove Crescent. Expressions of Interest are sought before Christmas. Occupying a freehold 3,594sqm ‘Business 5’-zoned site only 1.1 kilometres from State Highway 1, the 2,118sqm facility comprises three distinct warehouse bays with associated office space towards the front of the property. The 1,804.99sqm of warehouse space is of low to medium stud and accessed via multiple roller doors situated at the front and either side of the building. The 177sqm ground floor offices are complemented by 125sqm of office space on level one. There are two yard areas situated to the north and south of the main building, featuring roller door access into the warehouse. Nikolai Vulinovich says: “The property is located on the northern side of Lovegrove Crescent, in the Otara Industrial Precinct. There is excellent access to SH1 via the East Tamaki Road Interchange which is located only 1.1km to the south west. Other established occupiers in the area include Designer Textiles, Manukau Institute of Technology and Viking Group. 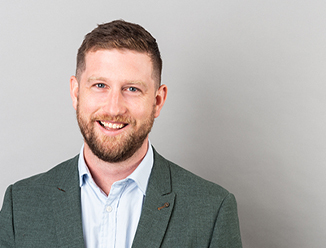 “The office space is provided at an excellent office to warehouse ratio, with the current tenant using a portion of the ground floor area as a showroom adjacent to the main reception. “The facility is fully leased to Trans-Space Doors Limited. Due to expire in September 2015, a recent valuation has indicated a market rental of $172,500 per annum. Tim Boyle says that the property is being marketed after CBRE has sold a number of properties on Lovegrove Crescent over recent months. “We are seeing growing demand for the area off the back of low vacancy in East Tamaki and the area’s proximity to the motorway. Lovegrove Crescent is also close to many amenities, including a shopping centre, retail, motorway, petrol stations and a strong labour pool. “The tight market we are in means that hitherto relatively unexplored areas including Otara are coming into view for investors and occupiers, as they have good fundamentals.